Single component, light-cure, self-etch, 7th generation adhesive. Provides easy one-step etch, prime, and bond with a single coat. 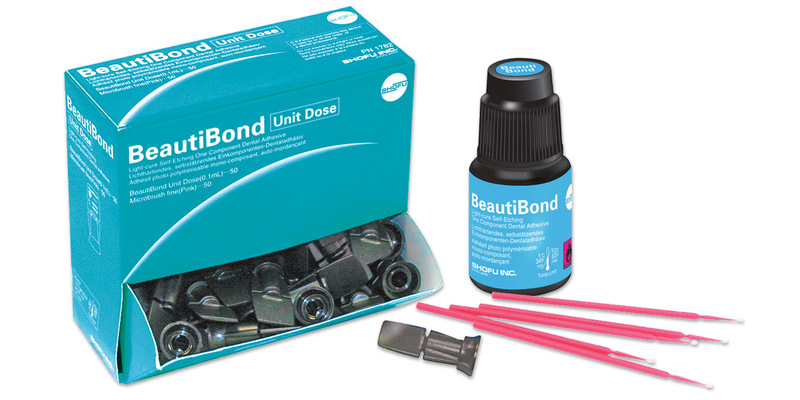 Dual function catalysts work independently for durable bond strength to both enamel and dentin. Contains no HEMA, which minimizes blanching of tissue and the degradation of the hybrid layer. 30-second application. Contains: 1 x 6ml bottle, 50 fine-size Microbrush applicators, 25 V-dishes. Contains: 50 x 0.1ml unit dose applications, 50 fine-size Microbrush applicators.